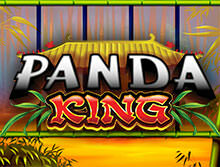 Catering the awesome Chinese culture, Ainsworth’s Panda King is an amazing slot game quite known in the gambling industry. Beautiful Chinese themed symbols in between a bamboo frame can be seen on the gaming screen. A game with a total of five reels and twenty paylines, it has numerous exciting bonuses and free spins to offer to its players to enjoy and take advantage of. Offering compatibility with almost all the popular devices, the game gives a very interactive and usable interface to the gamers in order to understand the game well. The inbuilt guide and given details of the game will also clear out all the unanswered questions in your mind. It clearly defines the rule and the gameplay of the slot along with the details of the symbols and the paylines both. If you want to play Panda King Slot game released by Ainsworth, you can look for the websites the company has a direct association with. bCasino is a leading online casino which is powered by Ainsworth or in other words has Ainsworth as its leading game developer. So, you get to play the game in a high definition quality and an uninterrupted manner. They offer a very cooperative and reliable gaming platform to the people highly interested in the online slot games or gambling games. 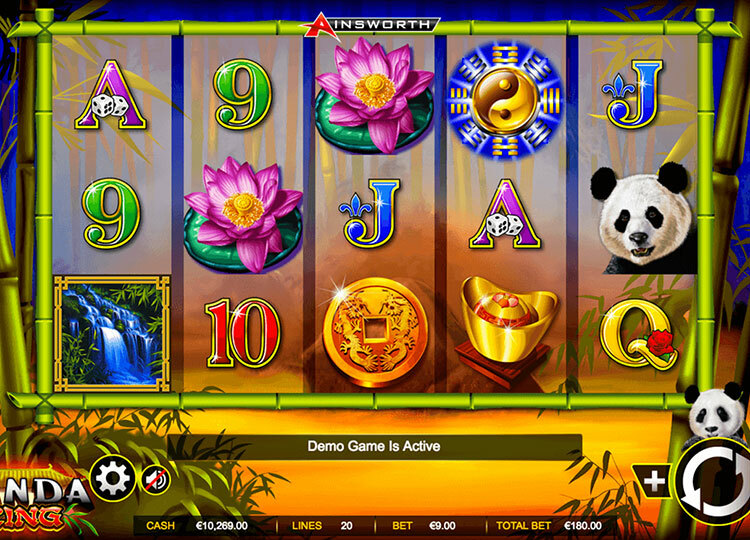 Ainsworth has been making popular and leading slot games since 1953. Similar to the rest of the Ainsworth slot games, this one too has some of the basic card symbols being always used in the slot games of the company. Following the traditional theme of the world’s most populous and second largest country China, you’ll come across some really pretty and attractive colorful symbols representing the Chinese traditions. The high paying symbols of the game are typical native Chinese articles and representations that you can think of. These include the fortune with the lowest value under the high paying category. Then comes the gold ingot and the pergola, a lotus flower, a gold coin, and the highest paying symbol is the waterfall. All of these symbols have the Chinese look in their visual graphics which adds more color and relevance to the theme of the game. The low paying symbols, on the other, hand have 6 card values which are, the Ace (A), the King (K), the Queen (Q), the Jack (J), numerical 10 and numerical 9. All of these symbols lie under the category of low value holding symbols. There’s a wild and a scatter symbol too, represented by a Panda and a Ying Yang which will trigger the bonus features explained ahead in the review. As mentioned above, the wild symbol is represented by a huge and cute Panda justifying the name of the game. The panda symbol has the potential to replace or in other words, act as a substitute too any other symbol present on the reels except the Ying Yang scatter and the rest special icons. They also fall on the second position when ranking the top paying symbols within the game. The Ying Yang scatter symbol might be familiar to many of you if you are a regular slot game player. Well if not, you need to have at least three scatter symbols on your reels to trigger the bonus feature. Apart from that, the scatters fall on the top position in the ranking of the highest paying symbols of the game. First, you can choose the 8 free spins option where your waterfall, the gold coin, the pergola, lotus flower and the gold ingot icons present on the 2nd, 3rd, and the 4th reel will be substituted with the wilds. Or, go for the 10 free spins and get your 4 high paying symbols substituted by the wilds. Last, you can also opt for the 12 free spins option which will just substitute the waterfall, coin, and pergola into the panda symbols. Another noticeable point here is that appearance of a Fortune symbol is very easy during these spins which will ultimately multiply your wins giving you loads of money. The game is decent and enjoyable undoubtedly. It has some beautifully attractive features which are pleasing to the eyes. The bonus features are not extraordinary but are pretty good for relaxing and entertaining game. It should help you learn the basics if you’re a newbie, even if you are a regular slot player, you can give it a try.